You can start to Learn Russian Online using this concise guide. 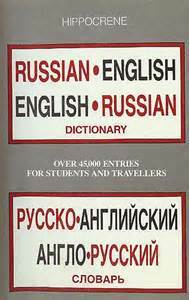 This page features the 100 most common words in English, along with their Russian translations. Scroll further down to learn common Russian phrases. Russian is the official language of the Soviet Union, and is also spoken in Ukraine, Moldova, Latvia, and Estonia. The Russian language has more than 150 million native speakers. To Learn Russian Online and many other languages, see the links shown below. Now that you've begun to learn Russian online, here are some useful phrases that may come in handy. gde ya mogu poluchit' yedu? gde ya mogu spat' ? Mozhete li vy napravit' menya k ... ?